Doesn't a tropical shower sound wonderful? I'm talking about the kind where you are in a fantastic suite looking out over ocean and mountains and the rain is coming down...no TV, no phones, no kids. Ok, so a girl can dream right? This tropical shower is a wedding shower for a friends niece. 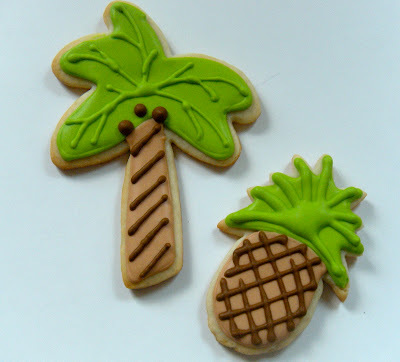 They are honeymooning in Jamaica and they wanted tropical cookies. And flowers and fish. A note on the flowers. I learned this flower layering thing at Sugarbelle, she made marigolds. I really like the layering of icing, totally a new thing for me, and although I hope no one thinks of them as marigolds, I like the dimension on the platter. And a few disco dust hearts because I know there are young girls invited, and what teenage girl doesn't love a sparkly anything. I mean Edward Cullen sparkles! So sparkle I did! 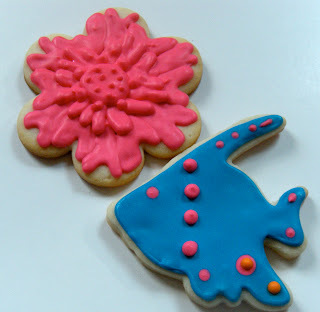 Such fun colors, it was a pleasure to make these cookies. And who doesn't love the anticipation of a wedding!? 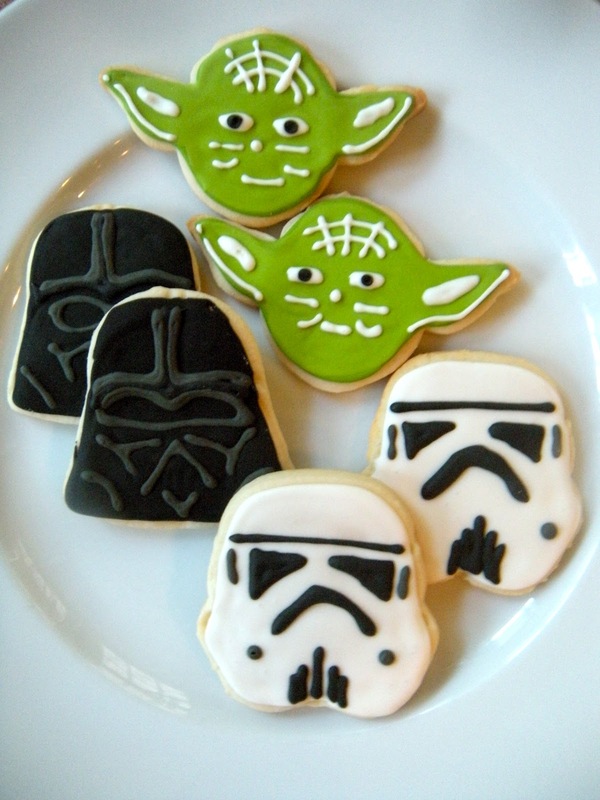 Way more fun than Star Wars. Just sayin'. I was a part of the "May the 4th be with you" at work. I made lots of Star Wars Cookies to give away, but Tiki Man was more fun! So, what are ya waiting for? Get in there! Nothing Says Happy Graduation Like A Shotgun!